Speech therapy gives children the tools they need to become better listeners and communicators. 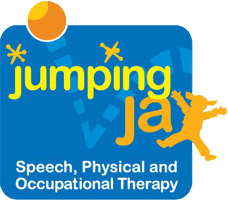 For children who have difficulty forming and articulating speech sounds, speech therapy facilitates increased awareness and understanding of the oral musculature and systematically addresses articulation errors. Children who have difficulty with expressive language benefit from speech therapy to target grammar and sentence structure, vocabulary development, and sequencing and retelling skills, as well as to learn strategies to assist with word-finding. Speech therapy for receptive language may address listening comprehension, reading comprehension, and following multi-step directions. Finally, speech therapy is helpful for children who have difficulty with social skills, such as understanding personal space, using appropriate eye contact and vocal volume, and knowing when and how to join a conversation. For children who are school-aged, speech and language therapy is conducted within the framework of the academic curriculum so that the strategies learned in therapy can be directly applied to classroom activities and assignments.